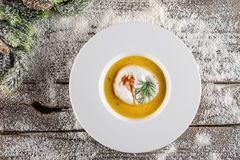 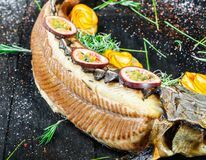 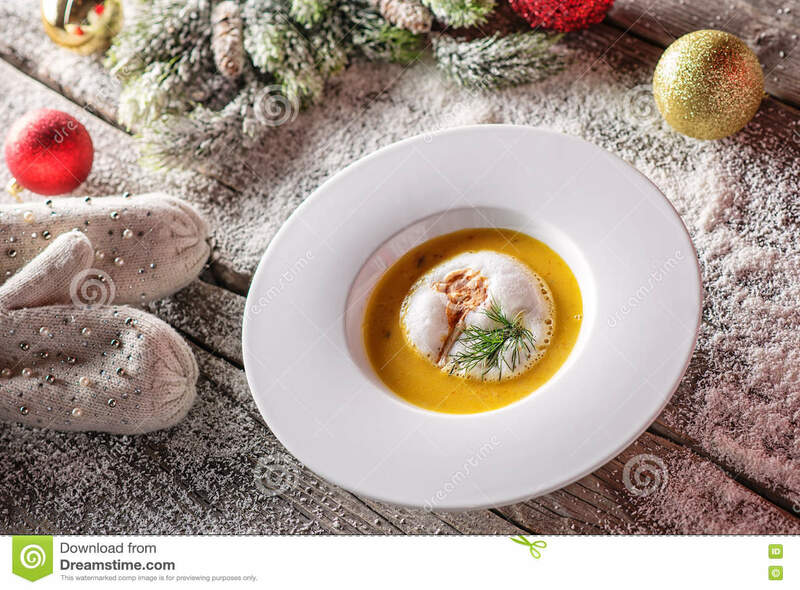 Chrismas fish soup in white plate with christmas decorations, modern gastronomy. 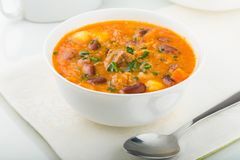 Tasty, traditional. 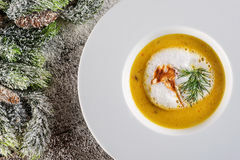 Chrismas fish soup in white plate with christmas decorations, modern gastronomy. 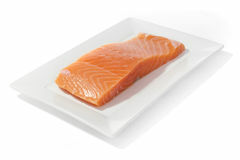 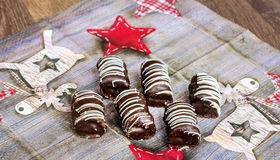 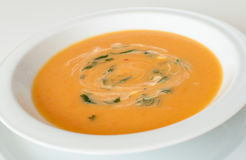 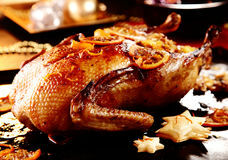 A sweet candy for christmas Set of soups from worldwide cuisines, healthy food. 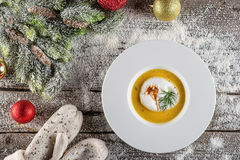 Carrot cream soup Crispy browned marinated Christmas roast turkey Soup Baked sturgeon fish with rosemary, lemon and passion fruit on plate on wooden background close up. 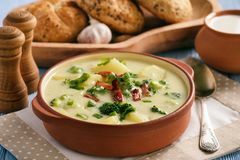 Salmon fish on dish Potato soup with broccoli, cheese and bacon. 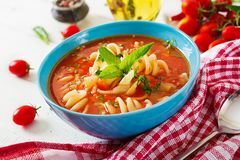 Minestrone, italian vegetable soup with pasta. 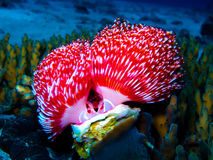 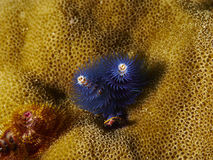 Chrismas tree worm Chrismas worm Fish a la Greek style.